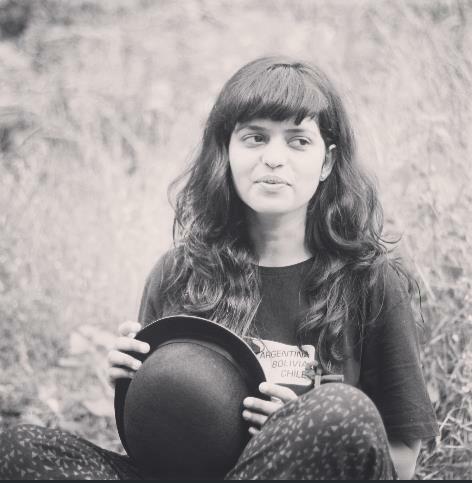 Anyone with an interest in fashion knows that red carpet appearances can go sideways in a jiffy. A bad choice of print, a strange silhouette and an outlandish appeal can kill an outfit in no time. 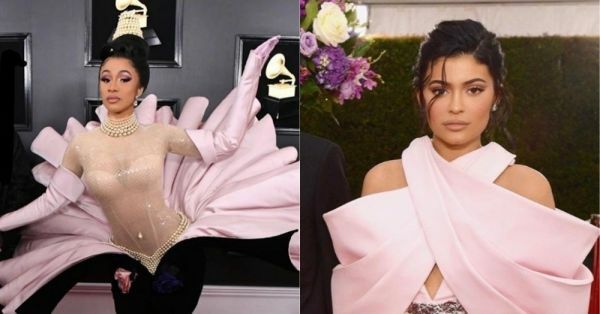 Just like last year, the 2019 Grammys saw an array of red carpet looks (though we missed homegirl Priyanka Chopra), some good and some...well just bizarre. Such was the look of these peculiar outfits and from some of our much-loved music icons no less, that we hope to never ever see these again. And if you get the drift that our feelings might be slightly exaggerated, wait till you see them for yourselves. The bold personality that she is, Cardi B usually brings her A-game to every fashion outing. This time, however, the scales of style weren't in her favour. 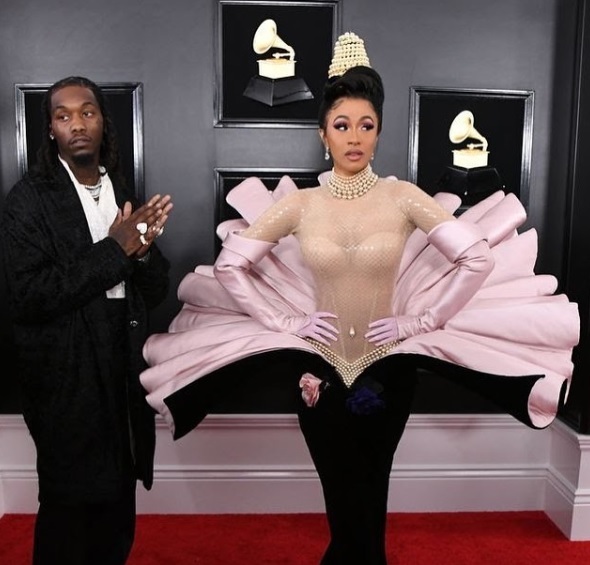 Wearing an atypical vintage Mugler sheath gown over an embellished bodysuit to the Grammys, the rapper completely missed the mark. We can almost feel Twitter losing its collective calm as they shell out memes comparing her to Goddess Venus to Ursula from Little Mermaid. Though not qualified as a gown, Kylie Jenner's outfit had an equally bizarre spin to it. 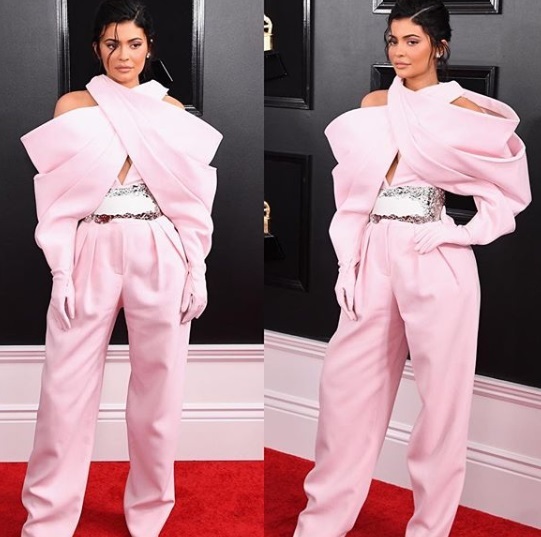 We are all for the powder pink hue that the youngest of the Kardashian-Jenner clan wore, but the gloves, the frumpy look and the strappy neck of her outfit (jumpsuit?) made it a big no-no for us. Powder pink is the new cool, we get it guys. But it can be worn in a normal setting too, quite unlike the bizarre Balmain gown that singer Katy Perry chose to wear to the 2019 Grammys red carpet. The overt layers on the skirt and a touch of weird metallic on the corset only made the gown look like a cake. Next time, perhaps. 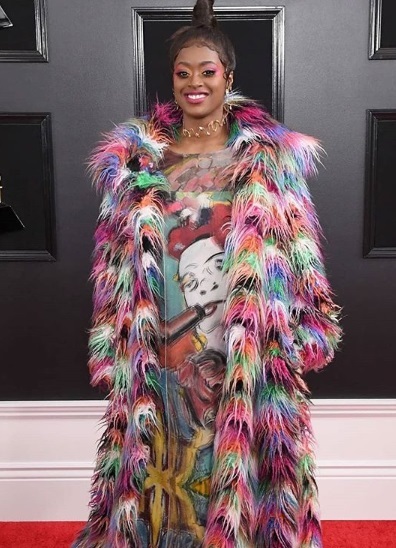 We are all in for illustrations, marabou feathers and vivid colours, but the ensemble that Grammy-nominated rapper, singer and songwriter wore to the red carpet wasn't exactly what we had in mind. Too much to take in, and quite literally. 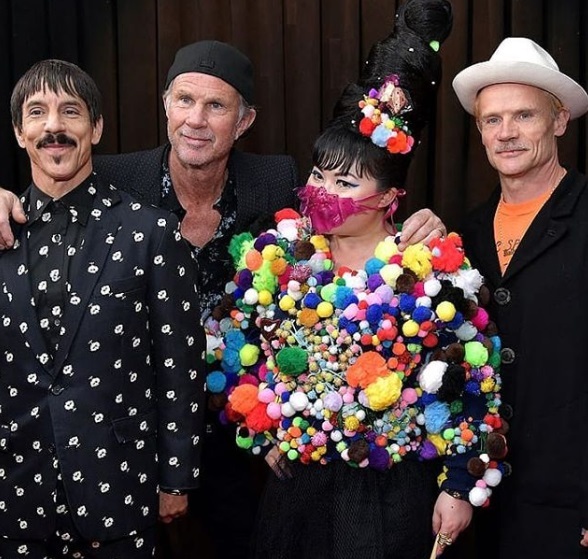 Du Yen brought to the 61st Annual Grammy Awards red carpet some colourful fuzzy structures that clung to her outfit, making for a downright underwhelming look. The emphasised hairdo and the pink mask (why was it even there?) didn't save her from making a disastrous red carpet appearance either. We have seen our fair share of naked dresses and gowns to know that they can work wonders, something singer and songwriter Toni Braxton's gown failed to do. Leaving little to the imagination, the naked gown with a play of purple was undoubtedly bold but didn't make a mark. Here's hoping these Hollywood ladies stash these red carpet looks away in their wardrobes.